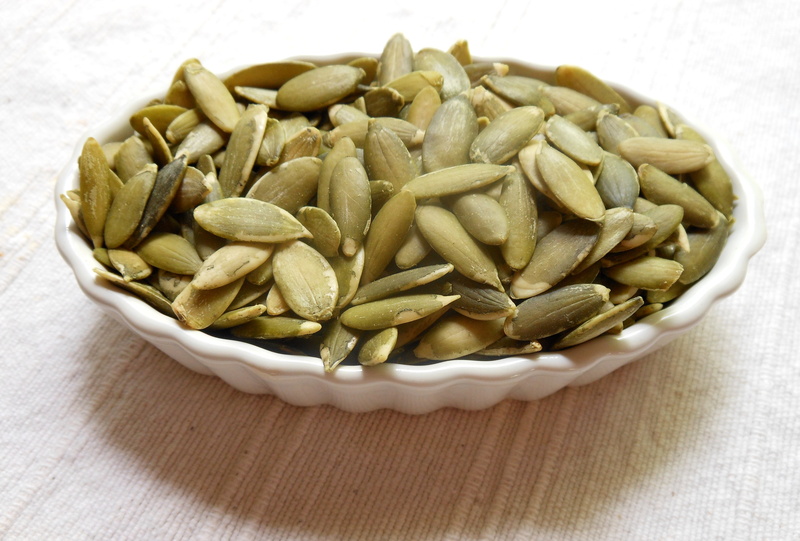 To give you an example of how the soaking process works, let me show you how I prepare spicy pumpkin seeds, also called pepitas, a favorite snack in my home. To prepare, mix 4 cups of raw hulled pumpkin seeds, 2 TBL of sea salt, 1 tsp of cayenne pepper and enough filtered water to cover in a large glass bowl. Leave on the counter uncovered for a minimum of 7 hours or overnight and then drain and dry in a warm 150 degree F oven or dehydrator.